We’re looking for great people to help our great kids. 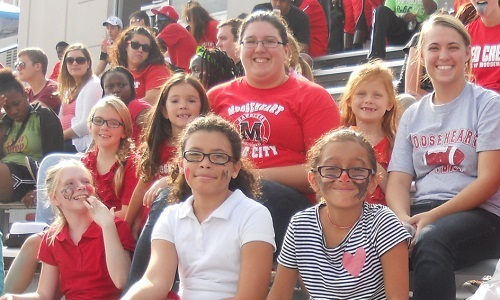 Join Mooseheart Child City and School in its mission to care for at-risk children and teens. Mooseheart, located 40 miles west of Chicago, is searching for couples or individuals who strongly believe that every child deserves a healthy, happy, nurturing environment in which to grow, and who are willing to dedicate their careers to enriching the lives of children and teens. Mooseheart Family Teachers provide safe and caring home environments for children ranging in age from newborns to high school seniors. Family Teachers are responsible for teaching social and independent living skills, as well as providing educational assistance, self-esteem building, and spiritual and moral guidance. Staff Testimonials Don’t take our word for it, listen to what some of our staff have to say about working at Mooseheart! Two days off each week, with 1 bonus day added each month. Must have the ability to live and work within our campus environment, and have a personality that is nurturing, energetic, patient, and persistent. Must have the ability to work under challenging conditions, and possess strong oral, written, organization, and time-management skills.